Apple’s operating system is considered to be invulnerable and there are new threats on Mac that had seemed to appear on a regular basis. Because of this, it a must that you consider to keep up with the security of your Mac. Luckily, there are plenty of amazing anti-malware platforms that you can use for you to give your Mac a boost from viruses, adware, and ransomware. You will also be able to prevent your Mac from any historic threats that are made by some big companies for you to have the best anti-virus solutions. Because of this, we have listed below a list of the best free Anti-Virus that you can have on your Mac. Part 1 : What is An Anti-Virus on Mac? Part 2 : Why do you need an Anti-Virus? Part 3 : What does Antiviruses do? Part 4 : How does these Antivirus software really works? Anti-virus is a software is made to prevent, search for, detect, or to remove any viruses. It is also made to prevent any malicious software on your PC such as trojans, worms, and adware. Anti-virus software is one of the most important software that you should have on your Mac. This is because without any protection of an antivirus software, then your Mac might get infected in just a few minutes once you get connected to the internet. Nowadays, malware has the ability to change it appeared in a quick manner for it to become less detected by some antivirus software. These viruses have the ability to be programmed and can surely cause damage to your Mac. It can also prevent you from accessing any of your data or worst, to take control of your Mac. There are some companies who made antivirus and all of them performs a very useful function. Here are some of the things that an antivirus software can do. • It can scan for any files or if there are any malware or known malicious patterns. • It will allow you to schedule when you want to set up a scan on your Mac. • It can remove any malicious code detected. There will also be times that you will be notified once have some infection and will ask you to remove it. • It can show you the health of your Mac. You always have to make sure that you only have the best of the best and an updated security software. This is for you to be able to protect your Mac and other devices that you might get connected to it. As what we have mentioned earlier, viruses can now be programmed to avoid any detection. Now, the main thing with how an antivirus software works is that it stores the example of some recognized malware that you have on your Mac. It can store its definitions in the cloud. Because of this, it will allow the software to scan faster, take less space, and maintain a threat-free library on your Mac. Of course, aside from having an antivirus installed on your Mac to have it protected, having a Mac cleaner will also become really handy. This is because having a Mac Cleaner will ensure that you will be able to clean your Mac for you to boost its speed and have more storage space on your hardware. What we highly recommend you to have for you to be able to clean up your Mac and prevent more virus infestation is the iMyMac-Cleaner. 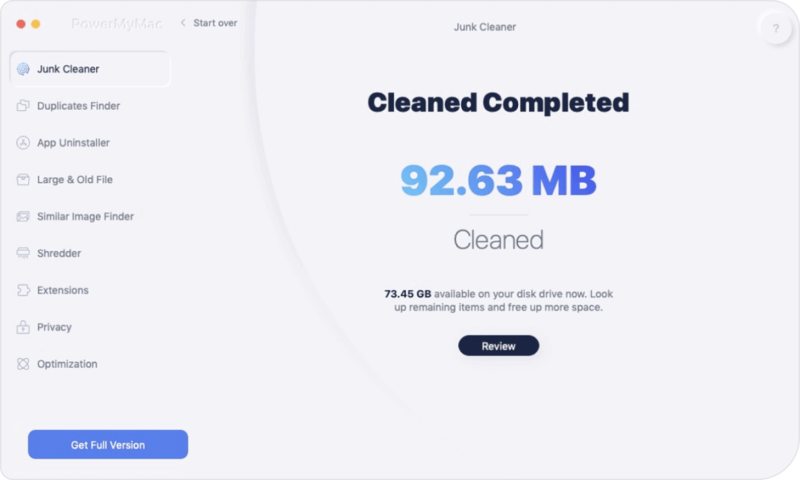 The iMyMac-Cleaner has the ability to boost the speed of your Mac by removing all unwanted files that you have. It can find and then remove any email attachments, iTunes backup, and even your multi-languages that you do not actually need. It also has the ability to scan and then delete your large and old files from your Mac. Because of the said features of the iMyMac Cleaner, this will be a great help for any antivirus software that you have installed on your Mac. It can help it remove all files that may be a carrying any viruses that will cause damage on your Mac. And since you are removing files that you no longer need, then this means that you will have more space on your hard disk for you to save or install other important files or applications that you may need. We have provided below on how you can use the iMyMac-Cleaner for you to be able to clean up your Mac. Of course, first thing’s first. Go ahead and download the iMyMac Cleaner on from our official website at www.imymac.com and then have it installed on your Mac. Once that you have successfully installed the iMyMac-Cleaner on your Mac, go ahead and run the program on your PC. Once that the program is launched on your PC, you will be able to see on the main screen the system status of your Mac. You will also see on the left side of the main interface a list of modules that the iMyMac-Cleaner can do. Choose one of the modules listed under Mac Cleaner. You can perform one at a time for you to clean your Mac completely. For now, let us start with your Junk Files and click on it. After choosing the module, go ahead and click on the “Scan” button. Wait for the program to finish the scanning process. The program will show you all the junk files that you have on your Mac and they will all be categorized. You will be able to see categories like Application Cache, Photo Junks, System Cache, Mail Junks, System Logs, User Logs, and more. Go ahead and click on the categories that you want to remove. Once you choose a category, you will be able to see its details on the right side of your screen. Choose all the data that you would want to remove and then go ahead and click on the “Clean” button. Then click on the “Confirm” button to proceed with the changes. For the other modules that are under Mac Cleaner: “Clutter” and “Large and Old Files”, the steps for you to be able to clean them up is the same with cleaning up the “Junk File” module. Once that the iMyMac-Cleaner is done cleaning up your junk files, most of the folders will have an indication that says “Zero Kb”. This means that those folders are all cleaned up by the program. However, there are some folders that will not have this indication even if it is all cleaned up. This is because those folders are considered to be an auto recreated folders. Here is a list of free antivirus that you can get for you to protect your Mac from any malware or infections of viruses. This is one of the most popular antiviruses. This program is very much effective and is free for non-commercial use. It can give you tools for you to use in making a full system scan and also can help you in sifting through some specific email threads, attachments, and some website activities. The main interface of this program is very much straightforward and have a navigational pane which contains the five primary buttons. It also has a graph that will allow you to see the overall status of your Mac. This program started as an adware removal program. However, it has already become a great tool for protecting your Mac from any malicious malware. This program is also very easy to use. All you have to do is to launch it and then click on the scan button. After that, this program will then notify you if you have any malware on your Mac. This software is a lightweight installation because it is just like having three digital music files that you do not even notice that it is there. Even if this program does not have a real-time protection, it can still remove any infections that are existing on your Mac. The Sophos program gives you a basic utility but still gives you a quality antivirus software. Its features a custom, on-demand, and a schedule for scanning for some of your files, folders, and drive. The Sophos software can also give you a real-time protection for your Mac that will allow quarantining any unknown files that are giving a suspicious behavior. However, the Sophos software just takes a little more time during the scanning process compared to other antivirus software. This program is considered to be a lightweight free malware detector which has the ability to locate and remove any virus on your Mac. This Bitdefender Virus Scanner also has an interface that is straightforward which make it very easy to use. You will be able to see on your screen the status of your Mac for you to become updated about your system. Even if the program looks very basic, it can surely give your Mac a clean touch. The Bitdefender also has the ability to give you an hourly update and its virus scanner always ensures that it has the latest version before it proceeds with the scanning process. This software will block any latest malware before it can proceed to cause damages on your Mac. It has also the ability to give you a real-time protection and can quickly detect any threats on your Mac. However, the Avira Antivirus does not have any web filtering, no network scanning or any other security extras because it is only focused on giving your Mac safe from any malware. One of the good features of this program is that it does not only protect your Mac from any threats, but it also has the ability to choose any PC-related malware which will make sure that you will not be able to share any files that may cause damage to your friends or colleagues. Having an antivirus software installed on your Mac is one of the most important things that you should do and have on your Mac. This is for your Mac to become safe and protected from any malware infestations. Antivirus software has the ability to remove any threat and suspicious files, folders, or applications on your Mac. Having the iMyMac Cleaner is also a great thing to have installed on your Mac. Actually, both software can become a great partner in protecting the health of your Mac. As the antivirus software eliminates any threat of malware or virus on your Mac, the iMyMac Cleaner can make sure that you can clean up any junks from your PC. 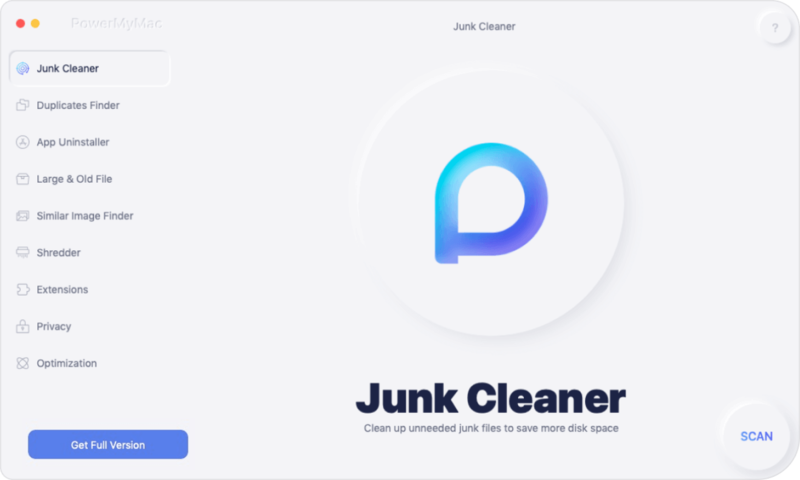 Aside from cleaning, it can also help you de-clutter your Mac and remove all of your large and old files that you do not even need. 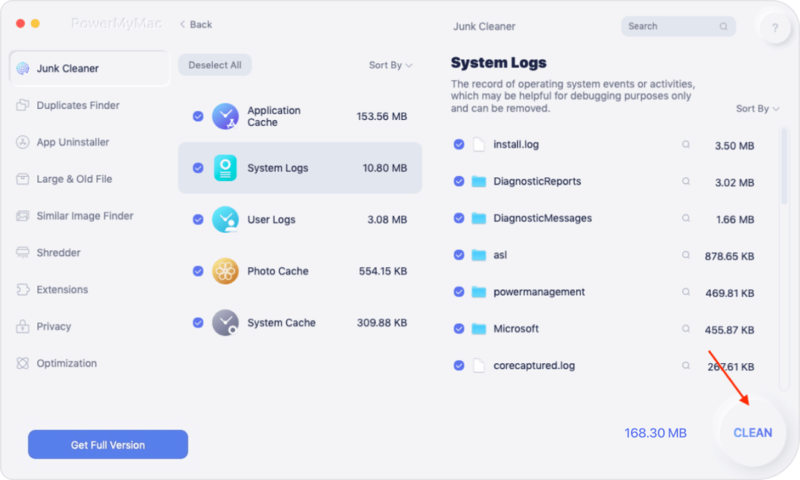 Since the iMyMac Cleaner has the ability to clean up your Mac, which means removing all the things that you do not need, this will give your Mac a better performance. This is because it can boost up your Mac’s speed and can also give you more space to store more important files. You have the option to choose from the list of the best Mac antivirus software that we have mentioned above and then go ahead and check and protect your Mac from getting damaged. Plus, get the iMyMac Cleaner for you to be able to make sure that you will be able to remove unnecessary things on your Mac. You also have the option now to regularly clean your Mac as one of a way of preventing any malware threat or viruses to come on your Mac.